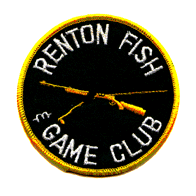 The Renton Fish and Game Club hosts various matches in the action bays and on the shotgun, pistol, and rifle ranges. During these matches, some of our facilities may be closed to the public for the duration of the match. Please check our calendar or call the rangemaster for information about any range closures. Our regular match closures are listed below. Action Bays are closed the 1st Saturday and Sunday of each month for Cowboy Action Shooting. Action Bays are closed the 2nd Saturday of each month for ASI Matches. Action Bays are closed the 2nd Sunday of each month for Steel Challenge Matches. Action Bays are closed the 3rd Saturday of each month for IDPA. Action Bays are closed the 4th Saturday of each month for USPSA setup. Action Bays are closed the 4th Sunday of each month for USPSA matches.